I’m pretty sure Mary, the instructor at the Chocolate-Making Class I attended at our local community college Thursday evening, dubbed me this because of my “killer” chocolate tasting making skills. Or – maybe it was because she recognized my “killer” charm, wit and personality. Or it could have possibly been for my “killer” fashion sense (I mean who doesn’t envy an aging 50+ in jeans, pink Keds, and an Old Navy funnel neck fleece?!). Several months ago when the local community college published their “Fall/Winter Continuing Education” pamphlet, I had registered us for this as something fun to do together. It was this Thursday evening. Thursday started out like many others these days with rising early and every intention of jumping in the shower before jumping into my work (from home) day. But, as is more often the case than not lately, that didn’t happen. Dang if I didn’t open my laptop first to start working, and next thing you know, Marty is home, and I am still in my pajama pants and hoody, bed head, yesterday’s mascara, and with a half cup of cold coffee on my desk – – – at 5 o’clock! Colleen was coming at 5:30 for our 6:00 class. YIKES! Jump in the shower, slap on some makeup, gargle with a bit of Listerine, and come out smiling. Ready with two minutes to spare. Score! We showed up for class, with another amazing two minutes to spare, after choosing the farthest parking lot from the Arts & Hospitality Building we could find just so we could run walk briskly through the freezing cold and dark charming campus paths and arrive ready to rumble create magnificent sugary confections. Mary was wonderful – and so was her daughter and chocolate-melting assistant, Ashley. 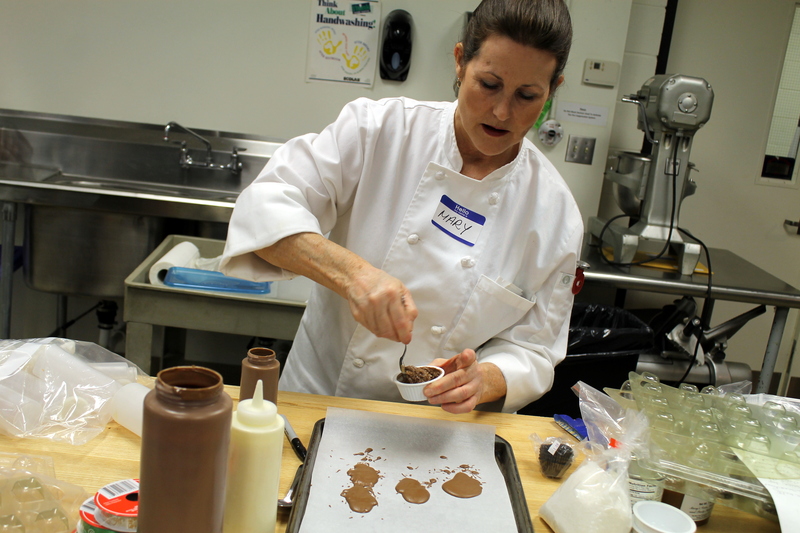 Mary has been making homemade chocolate for over 30 years and works professionally in the food industry. At first, reserved and professional, her true wit and humor unraveled as the evening progressed. 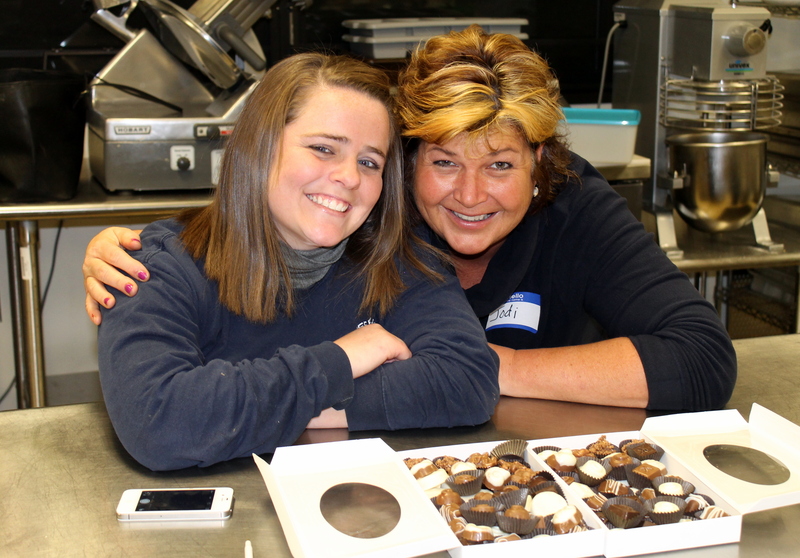 We learned some great tips for melting and molding and filling chocolates, while making new friends and laughing along the way. TIP: Use a squeezie bottle to fill molds. In the past, I had always spooned into the mold and made a bit of a mess. Squeezing it in is a breeze and much neater……. I think I must have been showing off and trying to finish filling my molds first. I was humming along smiling and laughing and squeezing and filling, when SPLAT! 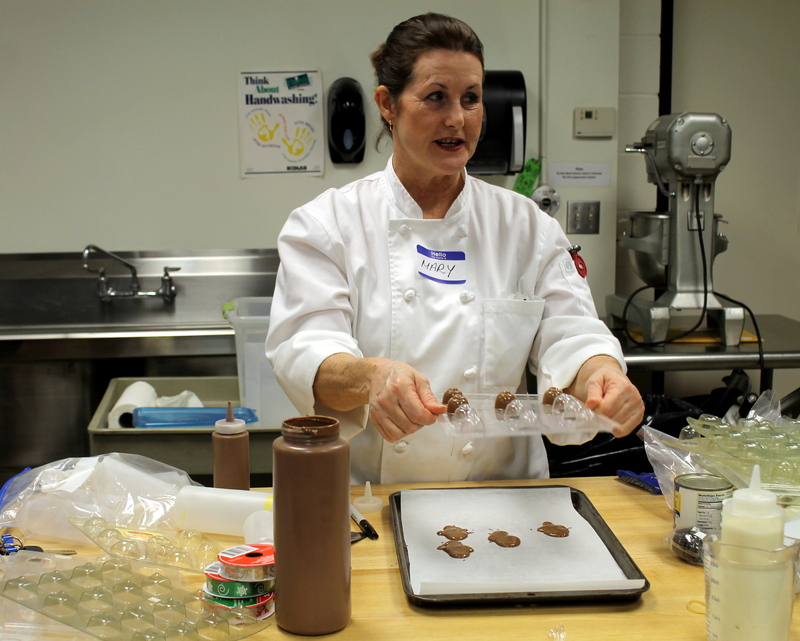 – the lid popped off the squeezie bottle and all the chocolate was splattered atop the mold! 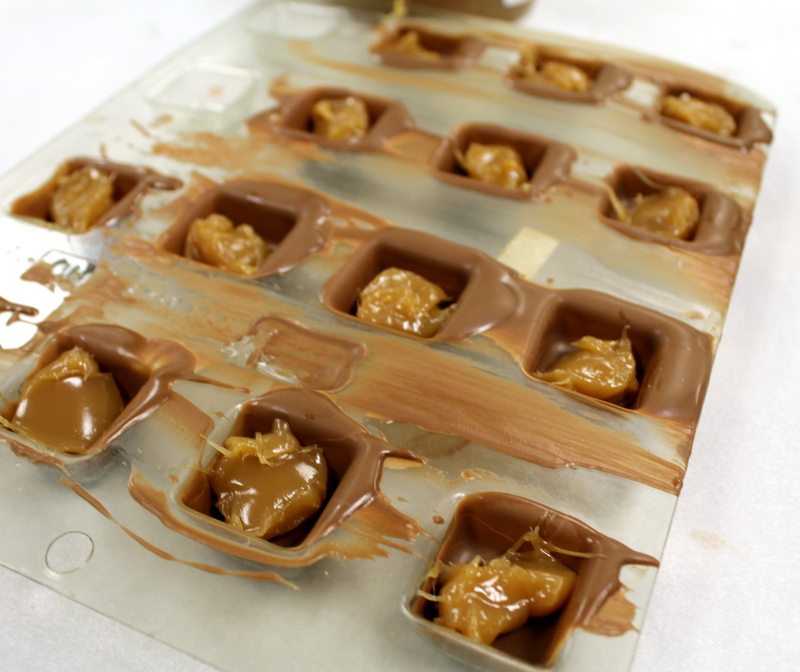 I continued on, and my chocolate covered caramels turned out quite yummy – you never would have known if I didn’t tell you here what a total mess I made! This photo is AFTER the cleanup! She said it so sincerely and innocently and quietly, I couldn’t help but burst out laughing! TIP: Use “melting” chocolate – not chocolate chips (i.e. Nestle). Mary mentioned they put something in chocolate chips to help them keep their “chip” shape that prevents them from melting completely and smoothly. I have found this to be true, and there is a big difference in the end product when using “melting” chocolate! 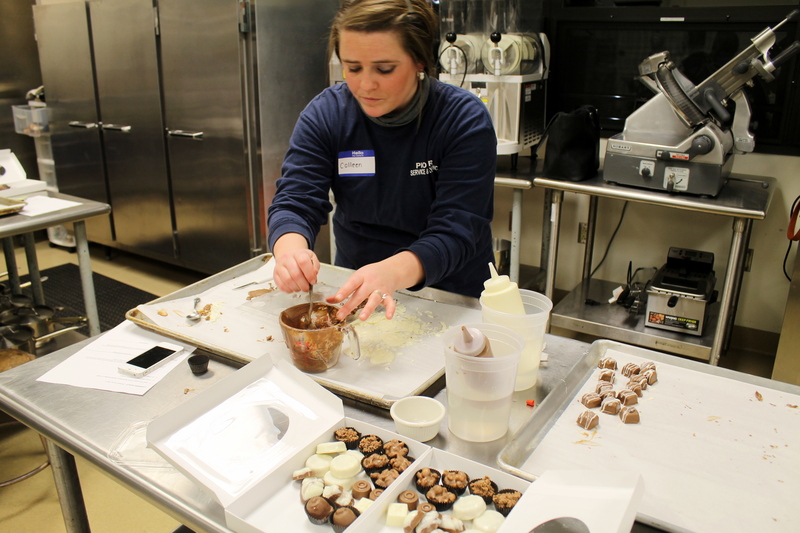 Mary showed us how to make peanut and coconut clusters. TIP: Use FREEZE-DRIED coconut as opposed to the typical sweetened, flaked coconut you might typically use for baking. It turns out much better! Less moisture content to “confuse” (for lack of a more technical term) the chocolate and result in a delightful treat. 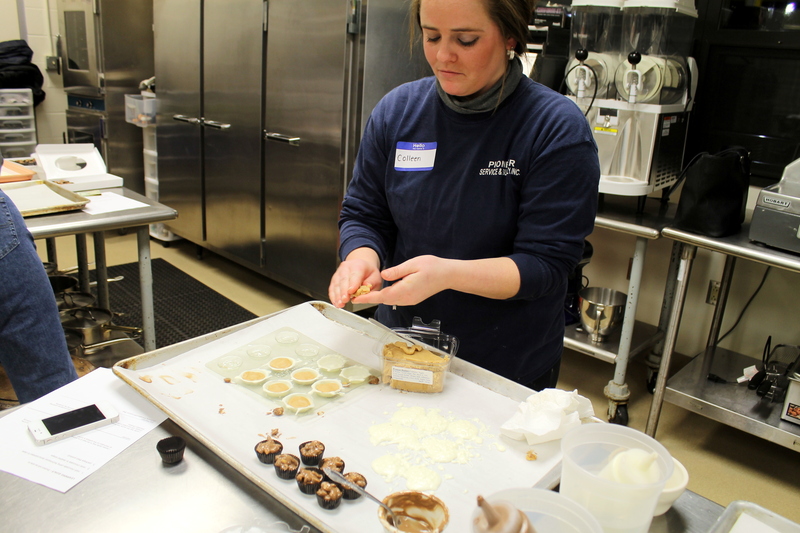 While Colleen was busy making her favorite white chocolate covered peanut butter cups, I was flitting around being disruptive to everyone taking pictures and offering my own tips…. TIP: Once all of your chocolate and filling is in the mold, tap it lightly a few times on the table or lightly shake back and forth horizontally a few times to even and smooth out the chocolate before it sets. It makes the WORLD of DIFFERENCE in the finished product! I did manage to make chocolates, and look at what we ended up with! TIP: A great way to melt chocolate and keep it melted is to do it in a crockpot. Who would’ve thought? Not too shabby – eh? But most of all – we made memories! TIP: Clean-up is much easier if you let the chocolate cool and harden. Place the squeezie bottles that are all but empty, but coated with chocolate, in the refrigerator for several minutes. When the chocolate hardens, all you need do is squeeze the bottle several times and the hardened chocolate cracks and releases from the sides into a pile of broken up pieces in the bottom of your bottle. This can be saved and remelted. Much more cost-effective than washing and throwing out all of that delicious chocolate – and A LOT less messy too! And after all that fun, Colleen and I were both thinking candy making and cookie baking the next day. I found the 40+ molds I had boxed up in the attic from about 20 years ago when Marty’s Mom and sister and I used to do all this together and texted Colleen to see if she wanted to come borrow to use for her baking and cooking this weekend. 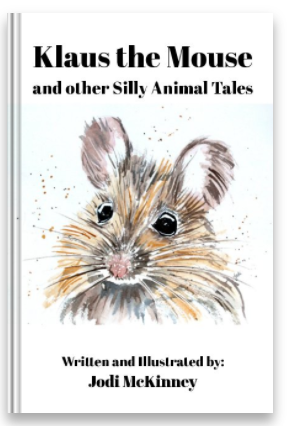 It brought back a flood of happy memories…. and I hope Colleen will remember our day and many more to come as we enjoy spending time and making memories! Of course she is the cute one on the left! 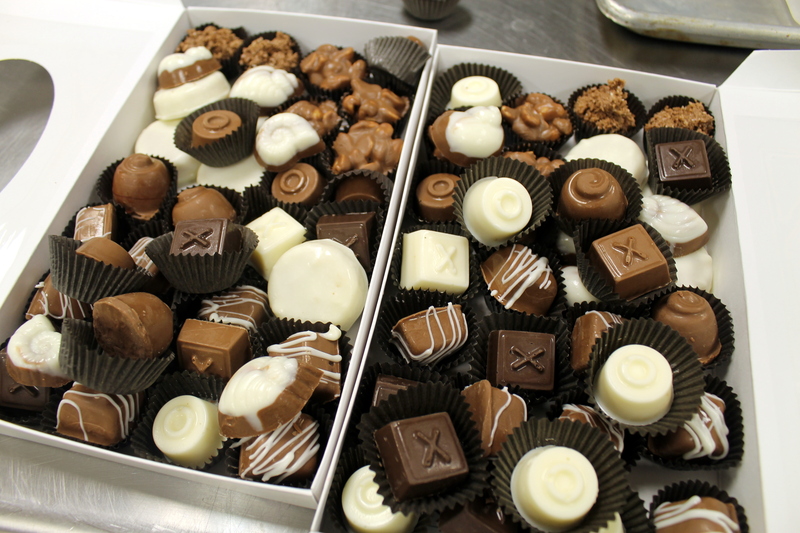 Feeling hungry – those chocolates look amazing! Love that tip at the bottom about squeezy bottles – I have always gone with the washing up method…kicking myself now! That was my favorite tip of all too Jenny! genius!! I loved this post! What fun and special memories you and Colleen made together. Those chocolates look BEAUTIFUL and DELICIOUS!! (Who would know that “Killer MIL” dumped chocolate all over the candies because the final products were AMAZING! I have been considering making 2 minute Microwave Fudge. Think I will keep my chocolate candy skills (NOT) making to that. Hahaha! Thanks PJ. Though I wonder if you probably have some chocolate making talents you’re hiding from us!!??!! 😚. We had fun and we learned and I am so fortunate to have this time with my daughter-in-law Colleen! Trust me! I have zero chocolate making skills! Haha! You did 100% better than I would have done in that class. I have made fudge that was pretty darn good (but I think it was the easy recipe and not me). No fair – I’m the first one up at my house, having my coffee, & I cannot stop laughing! The rest of my family is still in bed & probably wondering what’s so funny, I adore your writing style! Anyway, sounds like a fun time of memory making, & I thank you for the tips. One of these days I hope to try this! Now I have a big smile! 🙂 YIPPEE! Thanks for making my day Jeanne!!! Haha! Thanks for making MINE – a GREAT way to start my day…laughing! Fun! But no Chocolate Planetary Balls? LOL! Almost forgot about that?! Obviously! I know you would have been making them otherwise. But now you know how…chop chop. Seriously, this looks infinitely harder that plopping some greens on a wreath form. You look like you had a blast and the candies themselves are beautiful. I’ve never tried making candy as that man I live with has no taste for it really; he’d prefer bread. Colleen is a doll and thank goodness she remembered the class. And I am so glad I’m not the only one with bedhead in the afternoon!! i love your writing style! I used to write the same way (in Latvian) but now since I’m blogging in one international language = bad english I can’t write the same way anymore! I’m more than happy that I found your blog! It’s time for me to polish (read learn rom you) my ‘one international language’. Thank you! What a sweet comment, Ilze. Thank you! I can only imagine how much more difficult it is to write in a language that is not your first, but what a great growth experience it must also be. You do very well with your “bad English international language!” You should do a post in Latvian and see how Google translator does with it. Have you tried that? 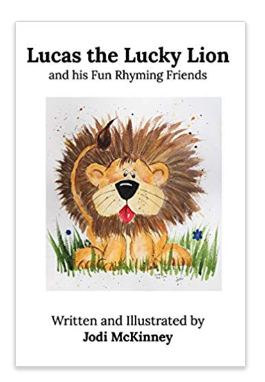 What an honor for me that you are reading and learning from my little ole’ blog. I hope you will write more about your lifestyle and holiday traditions in Latvia. I would be so very interested to read. Have a great day – you are already past lunchtime, and I am up at the crack of dawn! 🙂 So great to hear from you my friend. Thanks Dawn! We had a ball. Life is what you make it – right?! I so appreciate your comment and reading my blog!